Lucky Wheels is happy to report that we’ll be back at Babes Ride Out this year to offer riders access to tools they may need to make any quick repairs on their bikes at the event! We’re a Do-It-Yourself Motorcycle Garage located in downtown Los Angeles. 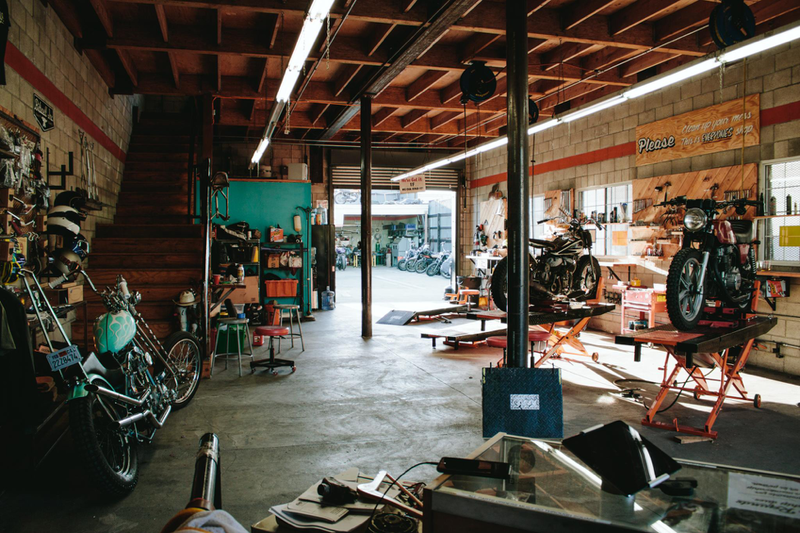 We offer the DIY-minded a place to work on their own bikes, as well as all the tools they need to do so. The shop is not only a place to find the tools you need, but a common gathering point for riders to meet up, socialize, and be creative together. We’ve always had the mindset that working on your own bike gives you a greater connection to it, and the more you know about how it works, the better you can ride, and the more joy you get out of it. There really is nothing like having your bike break down and not being worried because you have the skills to troubleshoot the problem and get back on the road. One of the questions we get asked the most is, “What if I don’t know how to work on my bike?”. Well - none of us did at first! And to be honest, it isn’t rocket science! Most of the members at LW come from backgrounds that have nothing to do with mechanics or fabrication, and we don’t expect anyone to know anything more about mechanics than we do about their job. We try to foster a place where if you know alot, help those around you, and if you’re clueless, ask questions and learn. Lucky Wheels is a great community of motorcycle nerds of all kinds, from every background and just about any type of 2-wheeled machine you can think of from mopeds to choppers. What is LW doing at BRO5? If anything on your bike needs some attention during the ride, stop by the LW booth for access to some tools and help fixing it, if you want to do it yourself. We’ll have an on-site mechanic available to point you in the right direction.